IJOY ELF is a new type of tank of IJOY family, with unique coil and chimney 2 in 1 design, Pre-installed 0.7-ohm vertical coil and Extra coil - 0.5ohm.3 colors for you to choose. 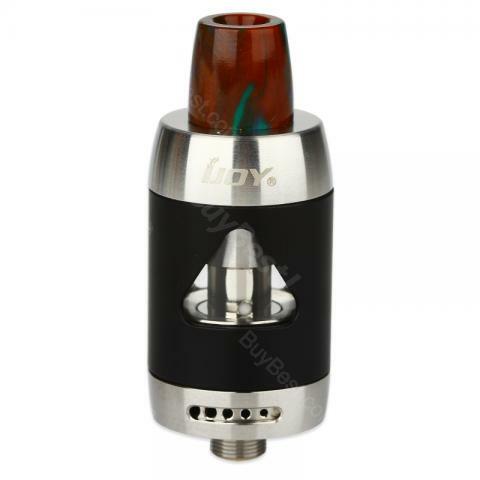 IJOY ELF Subohm Tank is a new type of tank of IJOY family, it is equipped with the latest mouth to the lungs 2 ml capacity tank. Pre-installed 0.7-ohm vertical coil, while IJOY ELF Tank is also equipped with a spare 0.5-ohm coil, it can meet your different needs. Using coil and chimney 2 in 1 design, precise control of air flow, can give you the best flavor experience. IJOY ELF has a compact, elegant design, 3 colors for you to choose from, do not miss it. • You can buy ELF coils separately. 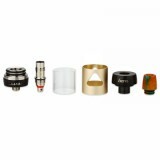 • No two Resin drip tips will ever be the same due to the unique manufacturing process. So ein tolles StopfGerät hatte ich noch nie.Von der ersten bis zur letzten gestopften Zigarette - gleichmäßig- vorne bis hinten. Sehr gut die IJOY ELF zu empfehlen. 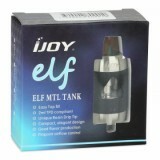 Great quality of IJOY ELF Sub Ohm Tank - 2ml. Boyfriend carries it whenever we leave the house. Gives me peace of mind, keeping my vape safe and sanitary. Very useful.